Our Front of House, Designers and Future Professional teams are all familiar faces to our guests but Gershwins also consists of an equally important and wonderful ‘Back Stage’ team; there’s our accounts and administration team, our business development and marketing team and our SATs team, who are the potential next generation of Future Professionals, who all support and make the team run and develop with one single goal: to provide the very best level of service throughout the ‘guest experience’ at Gershwins. Rarely seen by guests but an integral part of the Gershwins family. Hidden away in her office she expertly and meticulously heads up our accounts and administration department. Occasionally she will emerge to assist our guests at Front of House. Everyone loves Dawn! With over 35 years in the industry, Julie maintains the high standards and values that Gershwins has become known for and are proud of. Her intuition and caring approach enables both guests and the team to be confident and trust in the intention of Gershwins; to provide both a first class experience for guests and a limitless opportunity provider for the team. Julie believes in and endorses the importance of sharing knowledge, ethical values, well being and the pursuit of excellence in service and expertise, from which the Gershwins’ reputation is born. Julie is constantly developing our service and educates all the team on our service and values. ‘To see one of our team fulfil their dreams is one of the key rewards of being a manager. When they graduate from the Academy and start their journey, the next stage of goal setting begins. Knowing where they are going gives them a focus to help them achieve their goals. 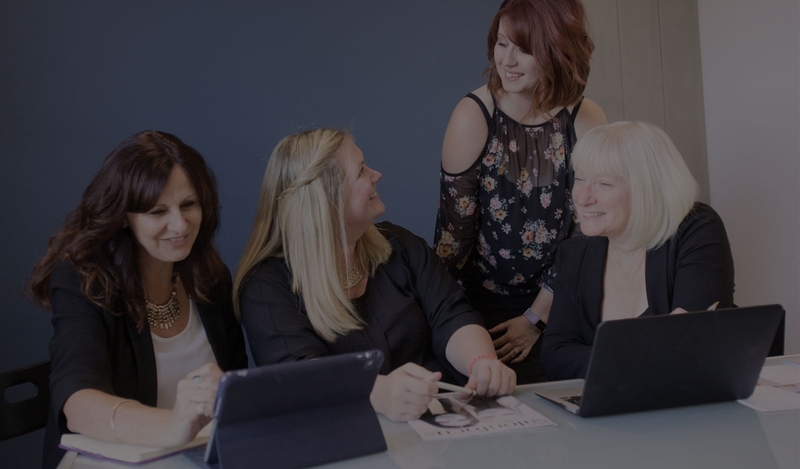 Being able to offer a structured programme is so rewarding and gives everyone confidence.The hairdressing industry is fast changing so you always have to plan ahead. I love nothing more than inspiring the next generation to join us in this exciting diverse industry, that has so much to offer. I feel like I’ve done our career proud. ‘I’ve been passionate about hair for 3 decades and have been lucky enough to work with inspirational Hairdressers from Paris to Milan, London to Devon. I have learnt invaluable skills that have helped my career, involved me with really exciting shows, photographic sessions and Educational’s. On returning to the UK I felt I wanted to share my knowledge and work with a team of young professionals that really care about people, care about their work and go beyond what is expected of them....hence I came back to Gershwins. I believe that good hair, great service and talent isn’t just in the big cities or abroad it is right here on our doorstep - I am committed to work with the team to bring out the very best and to continually develop my own skills’.